-- Select a Size/Color -- One Size - Out of Stock! Savvy Tabby's Crinkle Chick may be the oddest looking chicken around, but cats will love him all the same, for his great combination of feline fun factors! Catnip inside for even more fun! 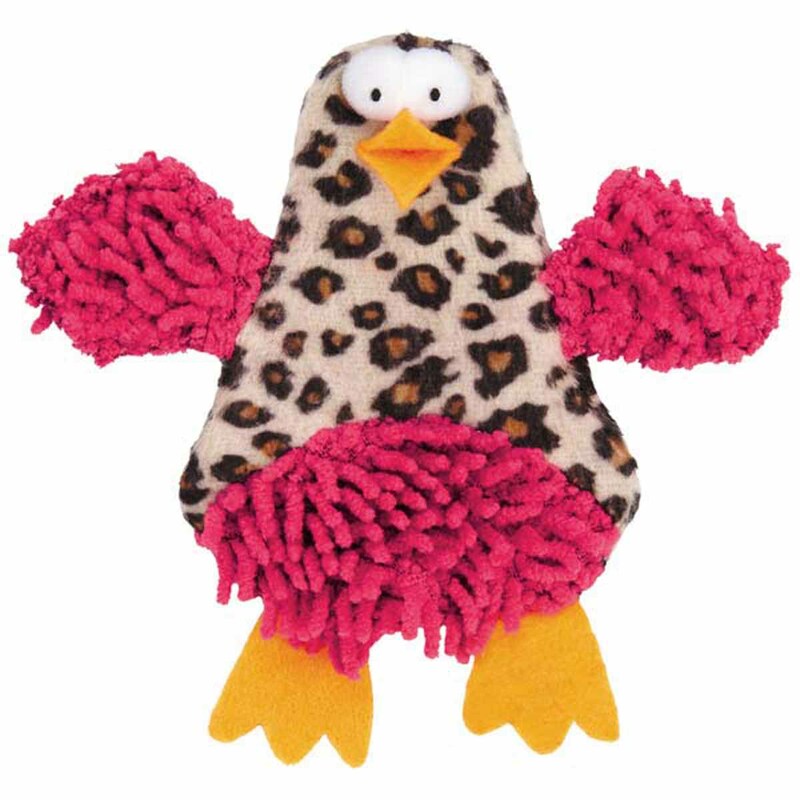 This funky Savvy Tabby Crinkle Chick chicken features leopard-printed plush and moppy fabric, to give cats two different textures to bite, clutch, and kick. Your cat will be entertained. Posted On 07/05/17 by Holly P from Rush, NY Yes, Holly P recommends this product! Posted On 10/11/16 by Rononda L from Norwood, NC Yes, Rononda L recommends this product! My Shih Tzu loves to play catch with this little chicken - it doesn't have a squeeker but it does have the crinkle sound - he loves to shake it and tote it around and I don't have to worry about it breaking a tooth or being to hard for him to catch with his cute little mouth!! Adorable. Perfect fit. Good price. Well made. I have been purchasing all my toy poodle's clothes on BaxterBoo for awhile now and have never been disappointed. I will continue to shop this site.